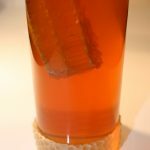 MAHAKOBEES.COM – Comb Honey = SUPER FOOD. how to cut and package 100 gram samples. 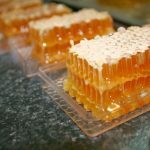 Also, take the opportunity next time you visit your local fresh food market, and grab a sample pack of that beautifully fresh raw comb honey. You won’t regret it! Music composed, performed and provided by Groovey – Adam Kubát a Pavel Křivák. You can visit their website on: http://www.groovey.cz/.